The microGreen extended performance fuel filter offers fuel filter savings of more than 50% for any given vehicle. According to SOMS, the microGreen's fuel filtration technology makes engine maintenance easier by extending the lifetime of the fuel filter, requiring fewer filter changes. The change schedule can be customized to fleet requirements, ensuring vehicles stay on the road without interfering with maintenance schedules. 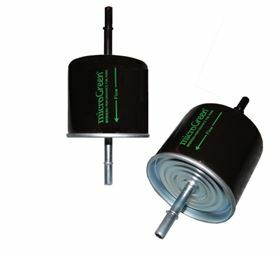 The company says that additional features of the microGreen extended performance fuel filter include that it can be easily installed on any vehicle, provides significant waste reduction, and requires less maintenance time. "The microGreen extended performance fuel filter is proven to last longer and perform better, which dramatically saves time and money for large fleets as well as individual owners," says microGreen chief executive officer Camilla Shumaker.